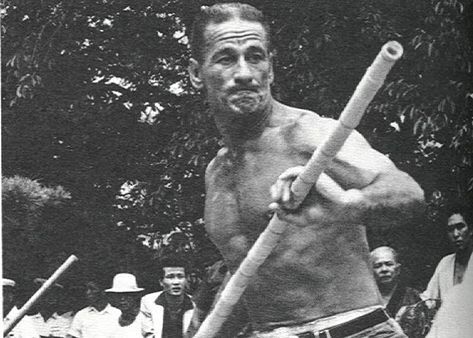 Donn Draeger was Chic's Sensei who trained him in various martial arts in the 1960s-70s. This group of 5 images is from Chic's personal collection. 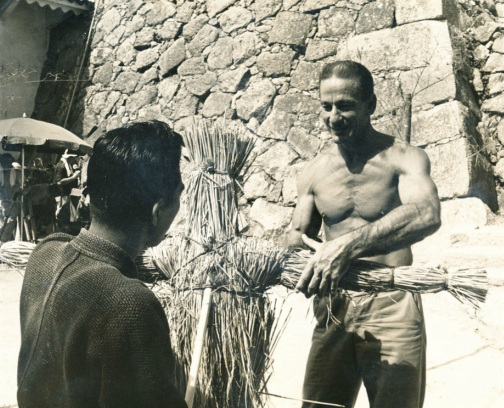 Above Left: Donn on the set of the 1967 James Bond film You Only Live Twice. 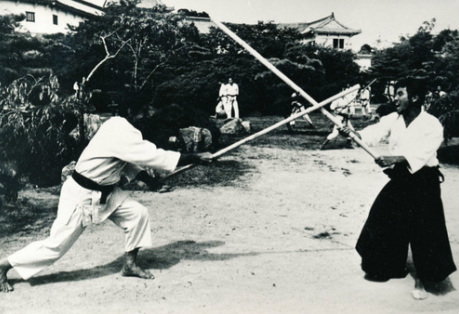 He is shown demonstrating bō technique. 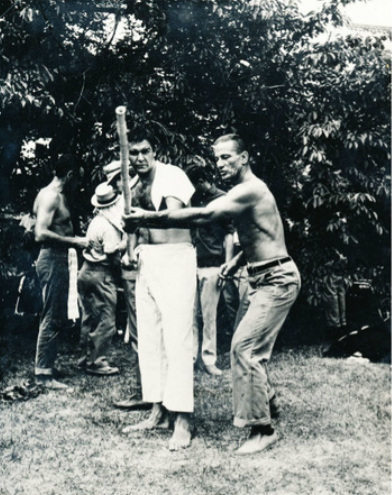 Above Right: Donn on the set of the James Bond film You Only Live Twice (1967), for which he served as martial arts coordinator. These two images courtesy of Wikipedia. 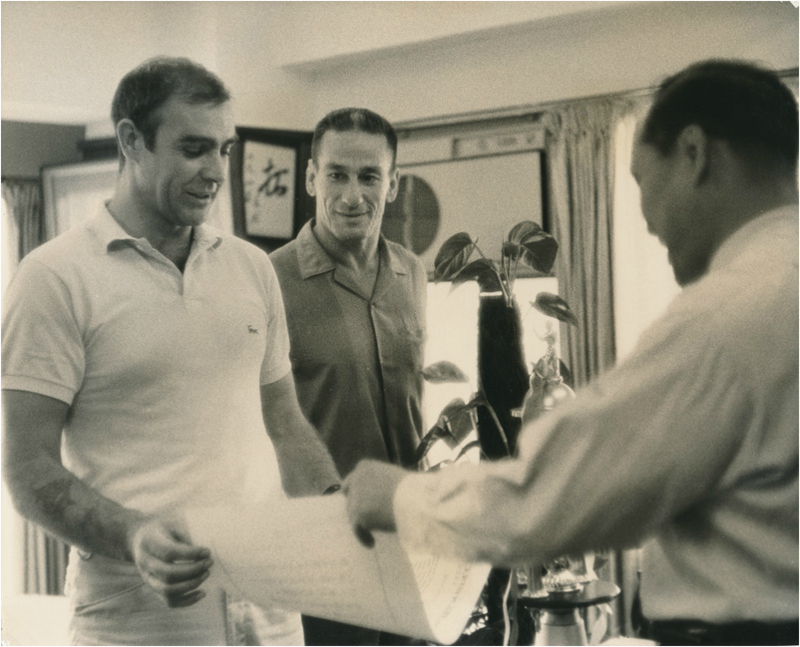 Sean Connery and Donn Draeger Tokyo August 1966. Copyright - Following 3 images courtesy of Chic Eather's personal collection. 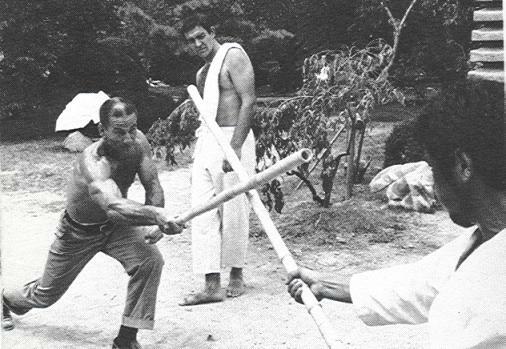 Tameshiwan demonstration by S. Kato 4th Dan Kyokushinkai-Kan. Sean Connery looks on - August 1966. 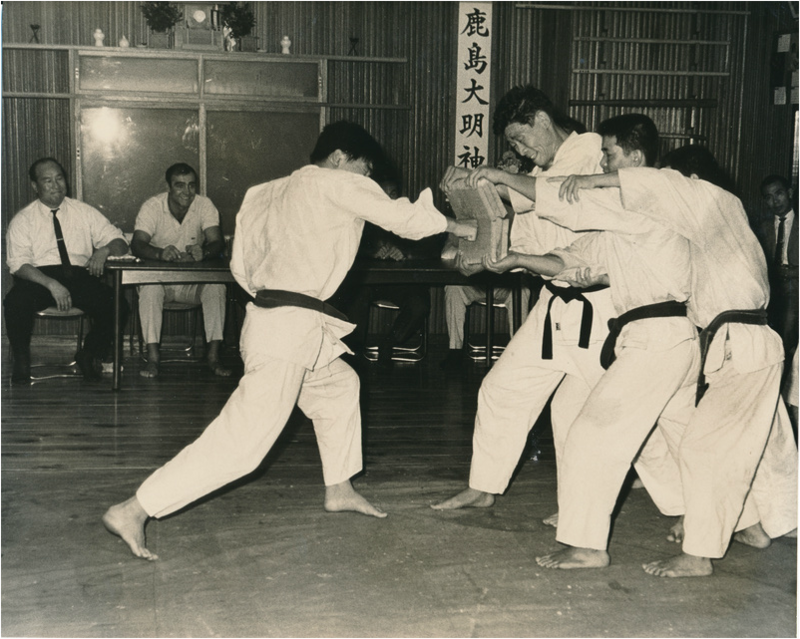 Sean Connery getting honorary Sandan of Kyokushinkai-Kan by President Mas Oyama - August 1966. 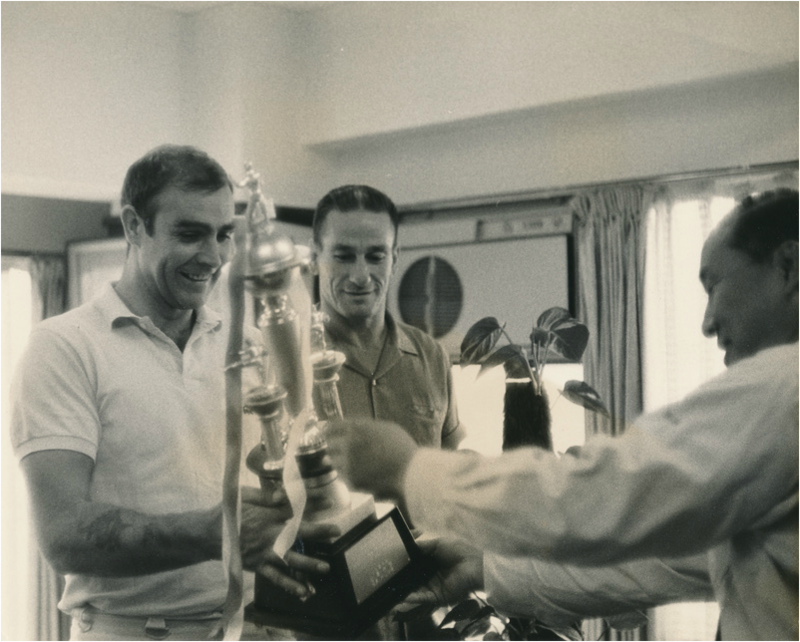 Sean Connery getting Kyokushinkai-Kan Trophy of Honor from President Mas Oyama - August 1966. 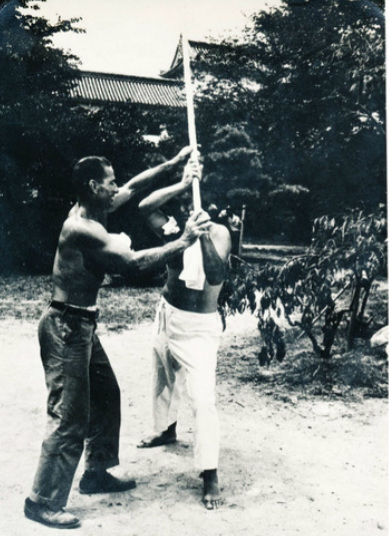 Click on image above to go to full size image at Chic's Martial Arts page. 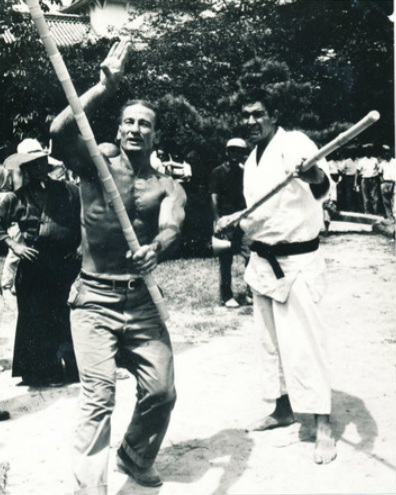 Below are two film clips showing Donn Draeger demonstrating his skills - please refer to Youtube for more clips. * To find more information regarding Donn Draeger please click here.